The Manu Adventurer • Use the form below to contact us directly. Fill in the fields to check availability & reserve direct with The Manu Adventurer. 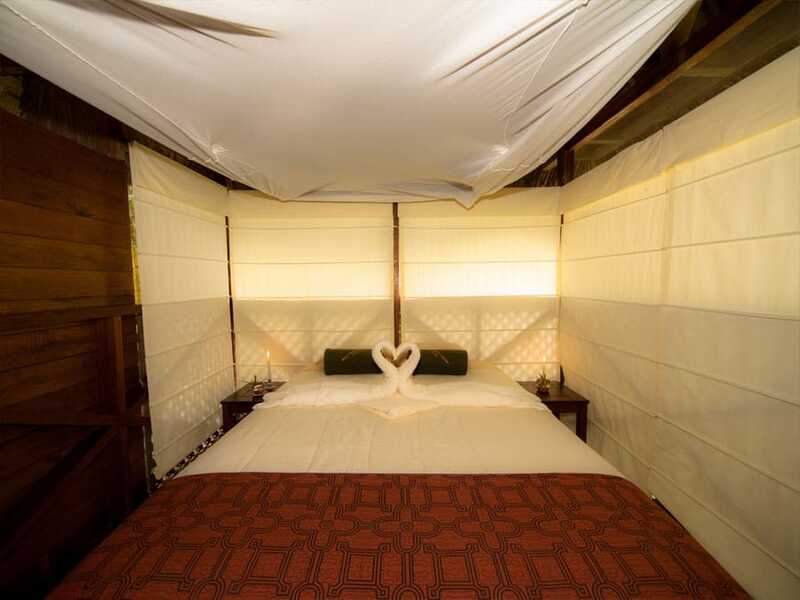 You will have an indepth experience of the Manu lowlands by visiting the Manu Wildlife Center, which is hailed by wildlife lovers the world over, to enjoy a tapir clay licks, macaw clay licks and giant otters and then visit the Manu Tented Camp inside Manu National Park itself. 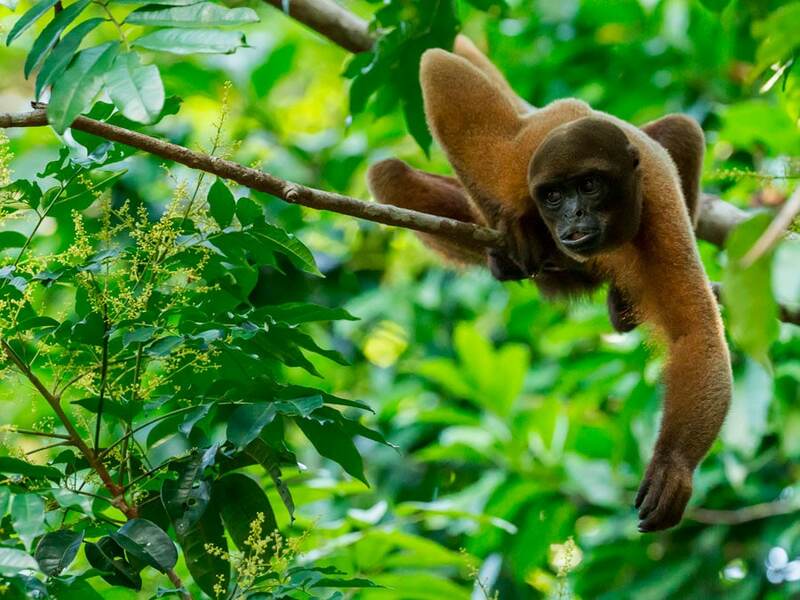 We will visit different oxbow lakes, two tall canopy towers and a fantastic amount of Amazon Rainforest animals and plants, such as monkeys, parrots, colorful birds, and many more. This itinerary offers the complete lowland rainforest experience, taking us by air and then motorized canoe to Manu Wildlife Center. 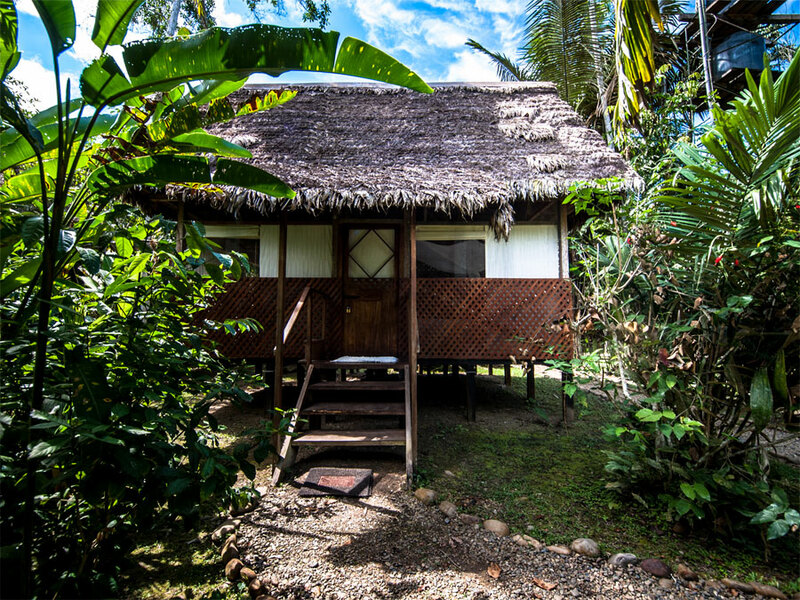 This lodge is located east of the Manu River on the north bank of the Madre de Dios River and offers the Amazon’s finest, in-depth wildlife safari. 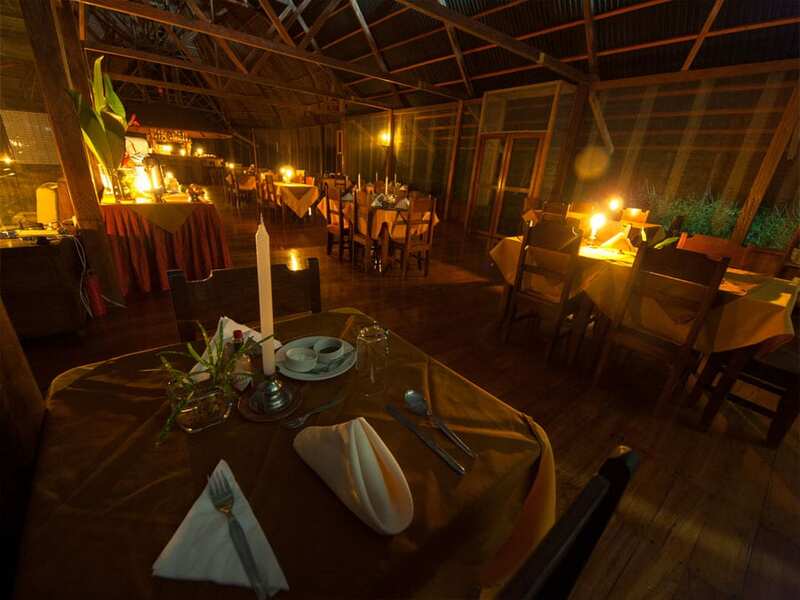 The lodge is famous for its abundant and varied wildlife, with its own Tapir clay lick, a nearby macaw and parrot clay lick, two nearby oxbow lakes and two tall canopy viewing towers among its impressive highlights. 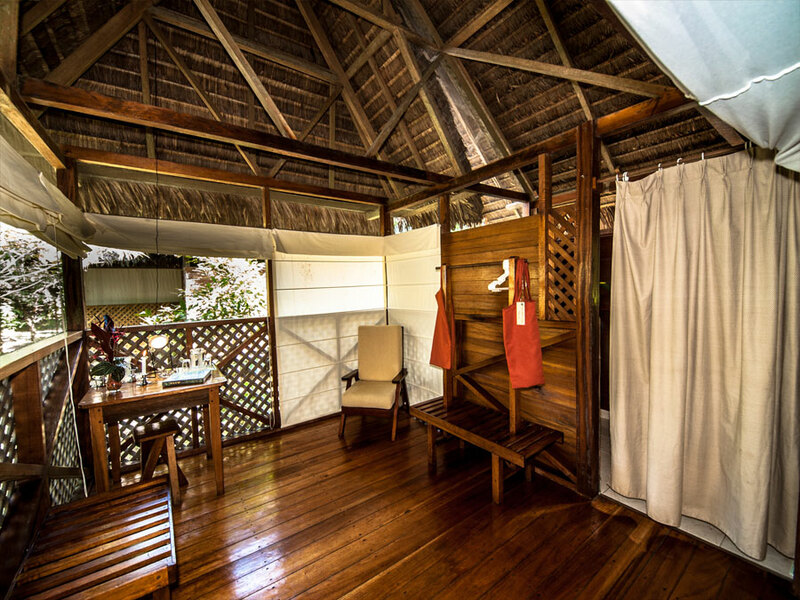 The Lodge contains 22 double-occupancy fully screened private bungalows with hot showers, a large fully screened dining room, and a bar with hammocks for relaxing with the comfort of the our Amazon’s finest wildlife lodge, next day in our rustic, Manu Wildlife Tented Camp in the heart of the Manu Biosphere Reserve. In Manu we navigate the waters of an isolated oxbow lake, home to Giant Otters, caimans, monkeys and an endless variety of birds. 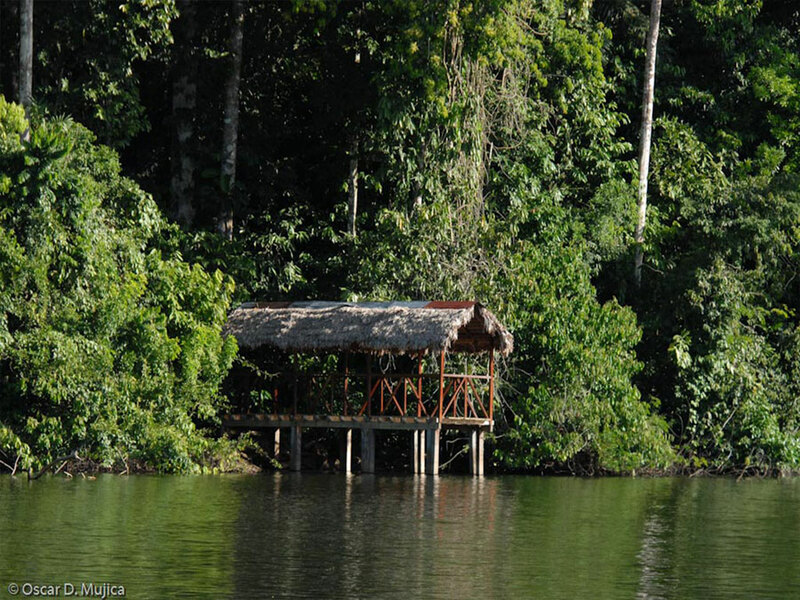 Our trip ends downriver with the Amazon’s finest wildlife viewing opportunities, at Manu Wildlife Center. 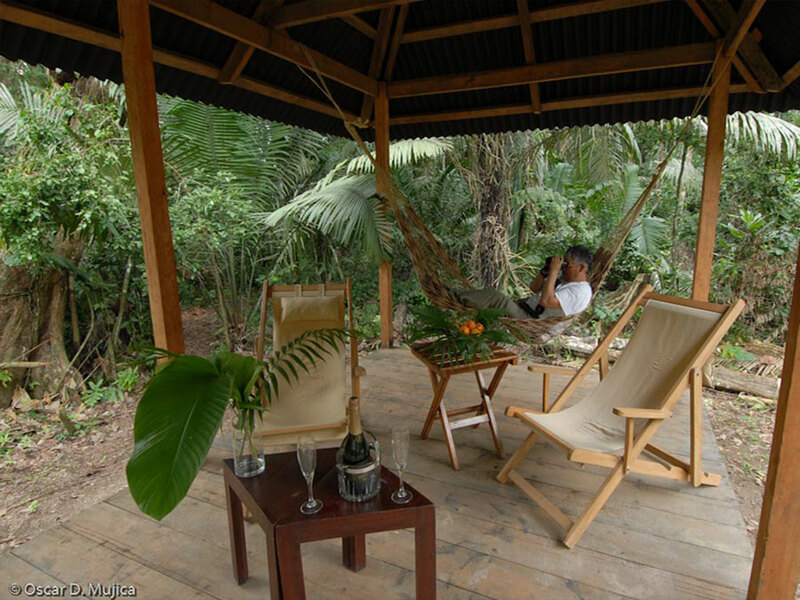 This lodge offers the finest Tapir viewing in ALL the Amazon, as Tapirs are nightly visitors to the lodge’s mud wallow. After a canoe and van journey we return to Cusco aboard in a commercial flight. Flight from Lima or Cusco to Puerto Maldonado - Colorado-Manu Wildlife Center. After your arrival by the commercial flight to the airport in Puerto Maldonado, our service begin with your reception followed with a transfer service by van to Santa Rosa Village, we will get there in about two-hours and half journey, you will cross the Inambari river for a 15 minutes boat trip to Puerto Carlos, here you will start your overland journey to Boca Colorado for 45 minutes by car, followed by four hours and half motorized boat journey ride upstream the Madre de Dios river in between we plan on a delicious boxed lunch at the beginning of the boat journey to Manu Wildlife Center. Later we make our first acquaintance with the rainforest, exploring some of the30 milesof forest trails that surround the lodge. 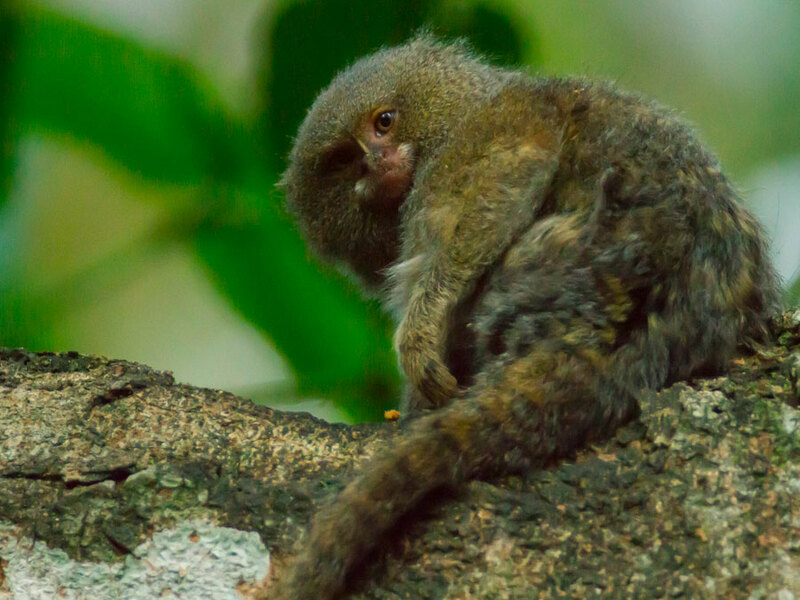 We have an excellent chance of encountering some of the 12 species of monkeys, including the Spider Monkey and Emperor Tamarin, which inhabit the surrounding forest. Another early start (inevitable on wildlife expeditions), after a delicious breakfast is followed by boat journey in the motorized canoe trip up the Madre de Dios River. We make a short visit to the village of Boca Manu, riverside capital of the remote and sparsely populated Peruvian province of Fitzcarrald. 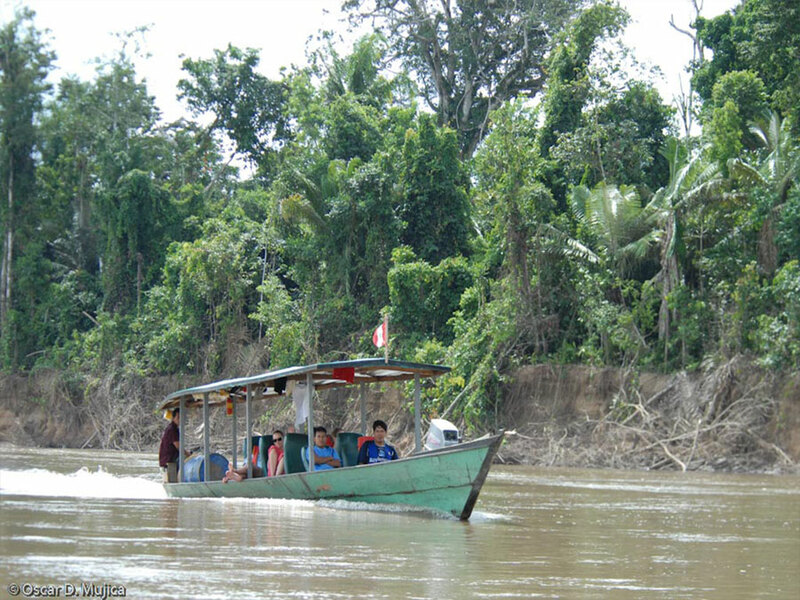 The main activity here is building dugout boats for travelers on the river, and we see how these sturdy craft are made. Logging is prohibited here, so the resourceful villagers work entirely with lumber brought downriver by floodwaters. Now we turn northward up the chocolate-brown waters ofthe Manu Riverinto the lake-rich lower Manu National Park. 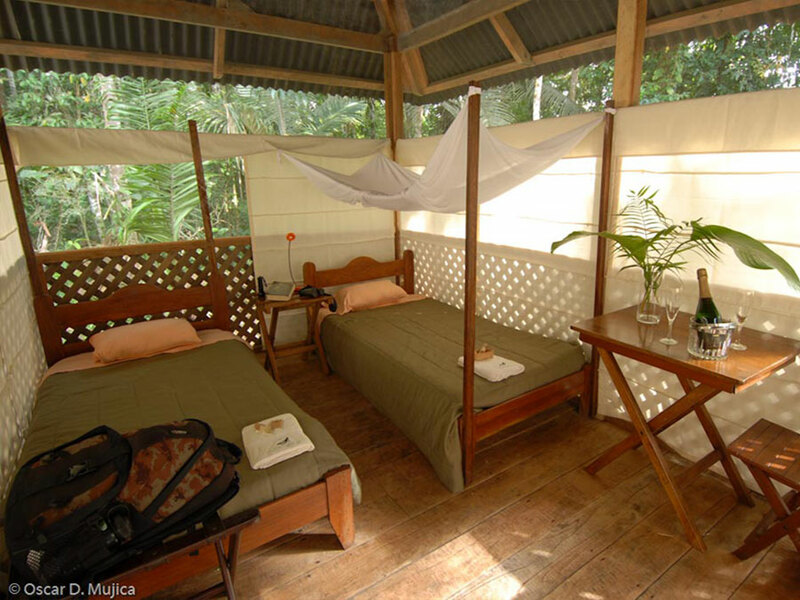 The pristine quality of the forest is instantly apparent, with abundant birdlife and no signs of outside development. We check into the park at Limonal ranger station and then proceed upstream, as our boat driver steers skillfully through shallows and driftwood snags. Orinoco Geese and Horned Screamers strut on the beaches, Capped and White-necked Herons patrol the shoreline, and countless sunbathing turtles dive off their log perches as we approach. After some six hours on the river we reach InkaNatura’s Manu Tented Camp, a simple but comfortable low-impact lodge nestled almost invisibly in the forest. Time permitting, we will take a short walk before dinner to stretch our legs and enjoy our first encounter with virgin rainforest. (B,Box Lunch,D). Our trail to Cocha Otorongo begins some 30 minutes downstream from the camp. This brief river journey to the trailhead can always offer the chance of a thrilling wildlife sighting. Perhaps we will spot a family of capybaras, the world’s largest rodent, looking like giant Guinea Pigs as they browse on the riverbank, or if we are very lucky, a solitary jaguar might stalk slowly off an open beach into the forest, flicking its tail in annoyance at our intrusion. On the short trail to the lake we may spy one or more of the park’s 13 monkeys species leaping through the canopy high above. And some of the trees which form that canopy -- such as kapok, ironwood and figs, will astound us with the vast size of their trunks and buttressed root systems. 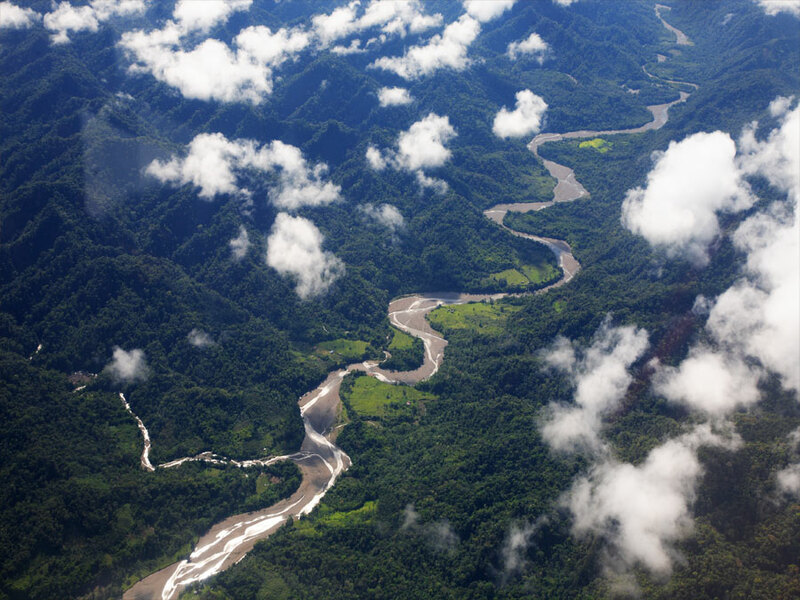 These are oxbow lakes, formed when the river changed course, leaving a landlocked channel behind. The lakes are abundant in fish and wildlife, and provide optimum habitat for caimans and the Giant Otter (Pteronura brasiliensis), one of the Amazon’s most endangered mammal species. This lake enjoys maximum protection, and boats are not allowed. However, it features two dock platforms and a 50ft tower from which to scan the trees and marshy shoreline for monkeys, kingfishers, Anhinga (a large, long-necked waterbird), and countless other species. We have a good chance of sighting the resident Giant Otter family as they dive for the 4Kg. of fish that each individual consumes daily. 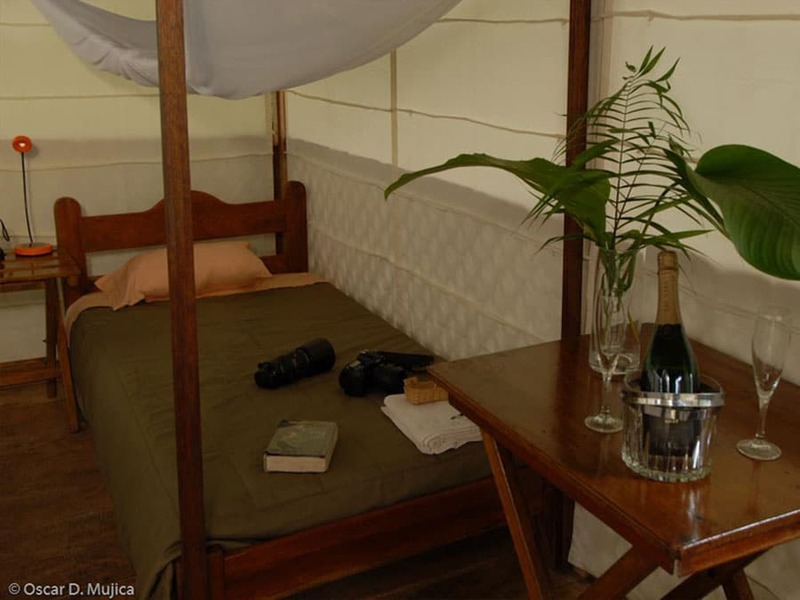 Manu NP (Manu Wildlife Tented Camp) to Manu Wildlife Center Macaw Clay Lick & Tapir lick. After a delicious lunch is followed by a short boat ride downstream. 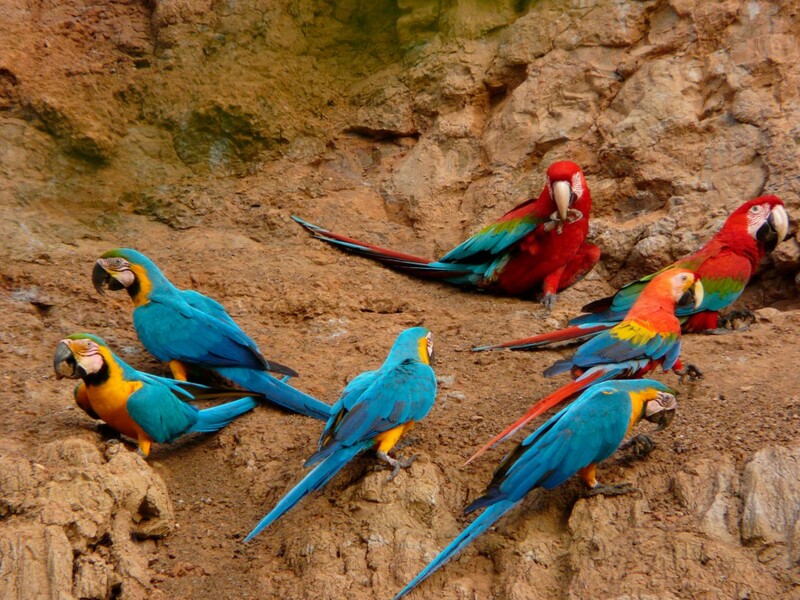 We walk through the forest for some minutes, where we find the Macaw Lick Project. The hide provided with individual chairs and a convenient place for cameras and binoculars is our ringside seat for what is usually a spectacular show. 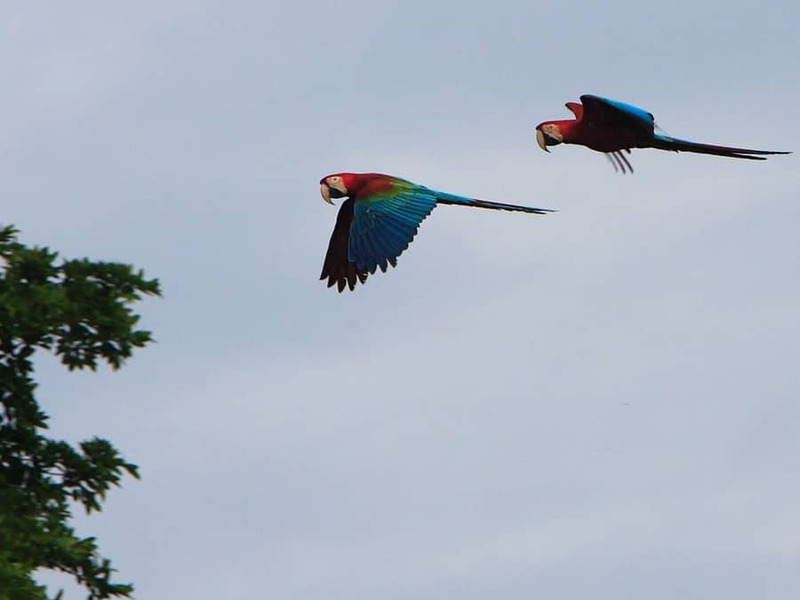 In groups of twos and threes the scarlet Macaws come flapping in, landing in the treetops as they eye the main stage below -- the eroded clay banks of the river and the occasional villain, a menacing and unwelcome Great Black Hawk. 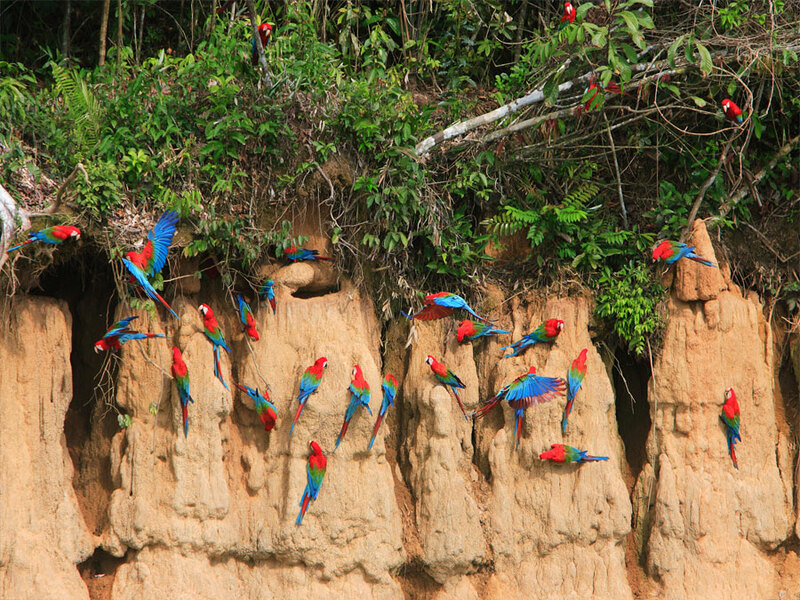 The drama plays out in first in tentative and then bolder approaches to the lick, until finally nearly all the macaws form a colorful and noisy spectacle on the bare banks, squabbling as they scrape clay from the hard surface. Later, we continue to explore and discover the rainforest, its lore and plant life, on the network of trails surrounding the lodge, arriving in the late afternoon at our 34m/112ft Canopy Tower. On its platform we witness the frantic rush-hour activity of twilight in the rainforest canopy, before night closes in. Then we set off along the “colpa trail”, which will take us to the lodge’s famous Tapir Clay lick. Here at the most active tapir lick known in all the Amazon, our research has identified from 8-12 individual 600-pound Tapirs who come to this lick to eat clay from under the tree roots around the edge. This unlikely snack absorbs and neutralizes toxins in the vegetarian diet of the Tapir, the largest land animal of Latin America. The lick features a roomy, elevated observation platform 5m/17ft above the forest floor. The platform is equipped with freshly-made-up mattresses with pillows. 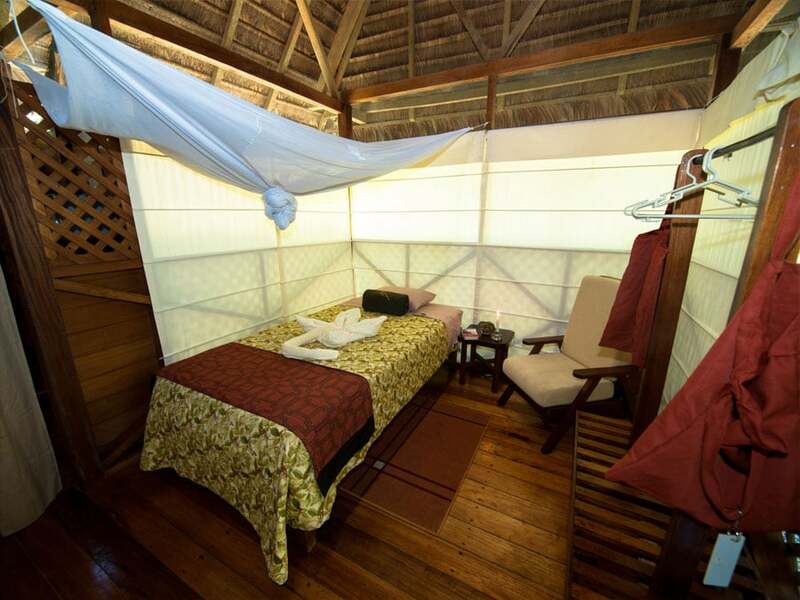 Each mattress is covered by a roomy mosquito net. 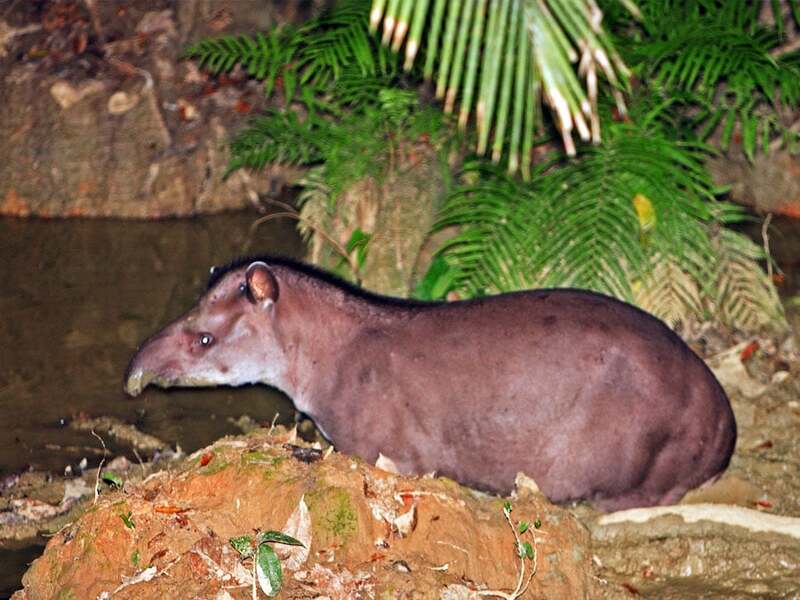 The 10-m-long, elevated walkway to the platform is covered with sound-absorbing padding to prevent our footsteps from making noise.This Tapir Experience is unique and exciting because these normally very shy creatures are visible up close, and flash photography is not just permitted, but encouraged. If you have some questions or you would like some more information, please send us an enquiry. We would love to help you get the most out of your experience. Fixed Departure - April through October - Thursday | Private departures available. 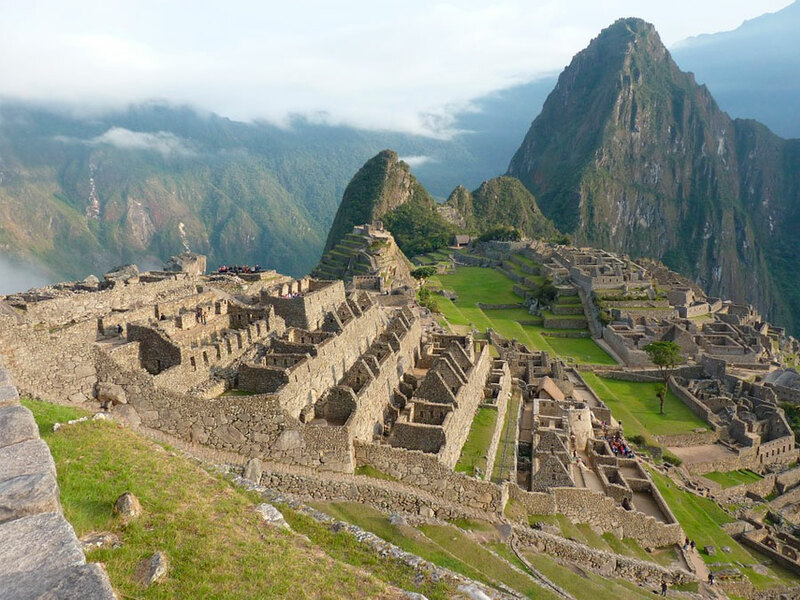 Air tickets from Lima or Cusco to Puerto Maldonado and from Puerto Maldonado to Cusco or Lima. Please note that the program may vary slightly so as to maximize your wildlife sightings, depending on the reports of our researchers and experienced naturalist guides based at the lodge. 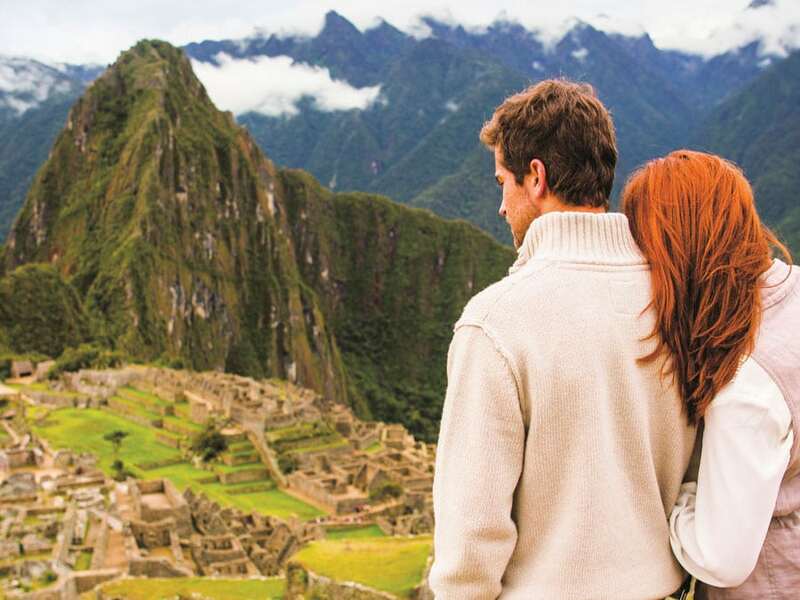 We strongly recommend read your PRE-DEPARTURE INFORMATION for The Newest Manu Adventurer program. If you have some question or you need more information please send us a message using the contact form.